First, we introduced error reporting to Market, so developers can see if their apps are locking up or crashing; and if so, exactly where. Second, we upgraded the Market publisher site to include user comments, so you can read what people are saying about you, or at least what they’re saying in a language you understand. Third, we added the licensing server, which, when used properly, tilts the economics of Android apps toward you, the developer, and against the pirates. 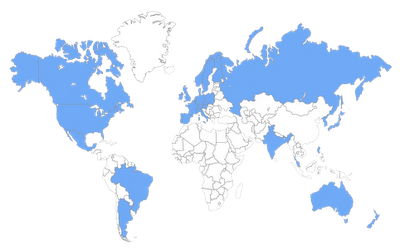 Fourth, we cranked up the number of countries people can buy and sell apps in: as of now, you can sell them in 29 countries and buy them in 32. Sixth, Market now has a “draft upload” feature; this removes a lot of the tension and strain from the app-update process. Get your screenshots and feature graphics and text and APK all squared away with as much editing as you need to, then update them all with one click. You’ll notice that I didn’t say “Sixth and last”, because this is a team on a roll and I expect lots more goodness from them; if you care about the larger Android ecosystem, or are already a developer, or are thinking of becoming one, stay tuned to this channel. Almost instantly after I joined Google, it became obvious to me that the number-one area where Android developers wanted to see action and progress was in Android Market; your concerns in this area vastly outweighed whatever issues might be bothering you about the handsets and the framework and the programming tools. In recent months there has been a steady, quiet, incremental flow of improvements and upgrades. They add up. This is by way of a glance back at developments since the arrival of Froyo last summer.